Hurricane Sandy Aftermath: Day 8. More images from the post Hurricane Sandy series. The power was still out and there was not much to do but go out and take some images. Some of the neighbors did use the outlet on my RV to recharge their cell phones. 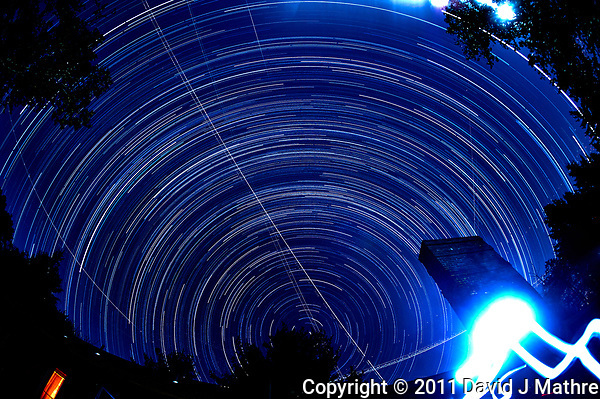 Backyard Autumn Night Sky in New Jersey: Star Trails Looking North. The old deck had not been demolished yet, and I was able to set up a Nikon D3 camera and 16 mm f/2.8 fisheye lens looking north over the house. The first image is a composite of 158 images from the early morning hours. 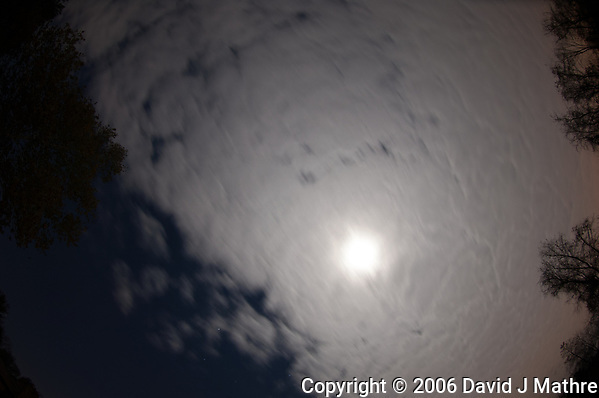 The second image is a composite of 190 images before midnight. Note the pesky alien stepping in to have its selfie taken. Backyard Autumn Night Sky in New Jersey. 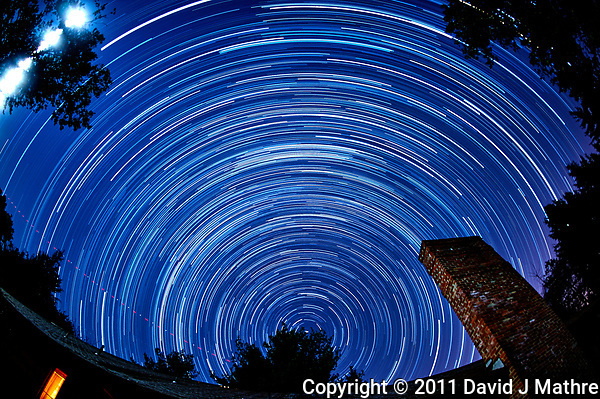 Sometimes the clouds come in and you can’t do star trail images.